Following the SCOTUS ruling in May that lifted the federal ban of sports betting, the country is seeing a rapid expansion of sports wagering. Legalized sports betting went live in Pennsylvania this week at the Hollywood Casino at Penn National Race Course, while Rhode Island is expected to begin offering betting services on Monday. Twin River Casino in Lincoln, Rhode Island, will officially open the first New England’s sports betting operation after Thanksgiving holiday. At the opening bet ceremony, scheduled for 3.00 pm. Monday afternoon, the first bets in the state will be placed by Senate president Dominic Ruggerio, Nicholas Mattiello, the Speaker of the House, and Twin River Worldwide Holdings, Inc., executive chairman, John E. Taylor, Jr. For now, this is the only facility in Rhode Island that will take bets, while the Tiverton Casino Hotel is expected to launch a sportsbook later in December. The new sports wagering operation saw a significant delay as initially, state officials planned the launch for early October. With that date in mind, they even included a $23.5 million in tax revenue from sports betting in the state budget but this amount is now estimated to be cut in half to only $12 million. The delay may be less than two months, but due to it, the state has failed to cash in from the start of the NFL season and the MLB’s 2018 World Series that ran between October 23 and October 28. 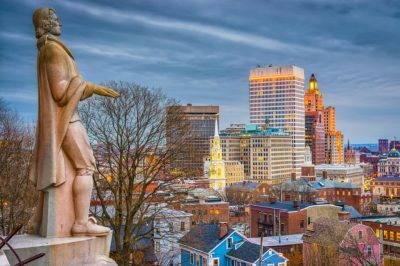 It is still unclear whether the sports betting industry could be really lucrative in Rhode Island, with the State Department of Revenue having no estimates of the potential profits that could be made. According to it, several major factors would weigh in, including the popularity of the Tiverton casino, which is expected to launch its own sportsbook in December. Analysts hope that it would be visited by Newport tourists as it is only half an hour away. Residents of Massachusetts and Connecticut may also find traveling to Rhode Island a convenient way to place bets on sporting events. Of course, the future of sports wagering would largely depend on Rhode Islanders and their interest in bets, as well. According to the current rules, the state will get 51 percent of the revenue, while the rest of the earnings will be divided between the vendor (32%) and the casino (17%). 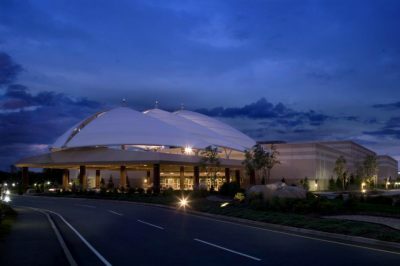 The Hollywood Casino at Penn National Race Course completed its first week of taking sports bets after it quietly launched its new operation on November 15. Managed by William Hill USA, its sportsbook now offers various kinds of bets and is the first facility across Pennsylvania to take bets on sporting events. Several other casinos have received approval by the State Gaming Board – Parx Casino in Bensalem, Harrah’s Philadelphia Casino & Racetrack in Chester, SugarHouse Casino in Philadelphia, as well as Rivers Casino in Pittsburgh and Hollywood Casino in Grantville, near Harrisburg. On December 1, a temporary sports betting parlor is expected to open at Rivers Casino and by the next spring, the casino hopes to complete its project for a permanent sports wagering lounge. Bettors will be able to place wagers on baseball, football, hockey, basketball and international sporting events. In order to offer sports betting services, casinos in Pennsylvania are required to pay a $10 million fee. Apparently, starting such a business is worth it, however, and an increasing number of states are recognizing the potential profitability of sports betting. In May 2018, the Supreme Court of the United States struck down a federal law that banned almost all forms of sports betting and in nearly all 52 states and jurisdictions. Now, many states are passing legislation to allow wagering on sports and after this weekend, Rhode Island will be the 8th state to effectively launch a sports betting operation. The other states where betting on sports is allowed include Nevada, Delaware, New Jersey, Mississippi, West Virginia, New Mexico, and Pennsylvania.